Tonight I will have a Tweason'ale from Dogfish Head Craft Brewed Ales. A seasonal, gluten-free, sorghum-based ale brewed with strawberries and buckwheat honey. 6% ABV is listed on the twelve ounce bottle. This beer poured with a thin, white head. Beer color is an orange-ish amber/copper. It is very clear. 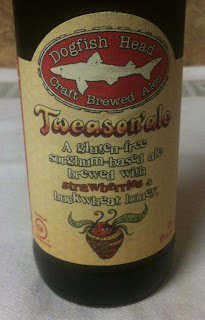 The aroma is very fruity, with the strawberry standing out. High on the sweet-meter. 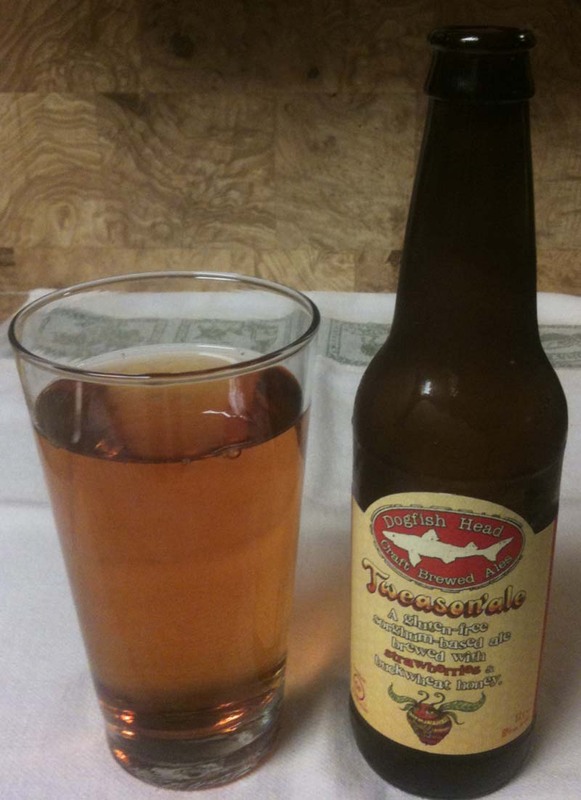 The taste is not as fruity and sweet as the aroma, although the strawberry is definitely in the forefront. A sweet malt-like character. There is a definite molasses taste in the background. Grassy towards the finish. Effervescent. A little thin. The aftertaste is a little metallic. More than anything, this reminds me of a lighter, fruity summer wheat where the light wheat/yeast quality in the background is replaced with a molasses-like quality. I usually don't like beers this fruity, but this makes a nice light summer drink.